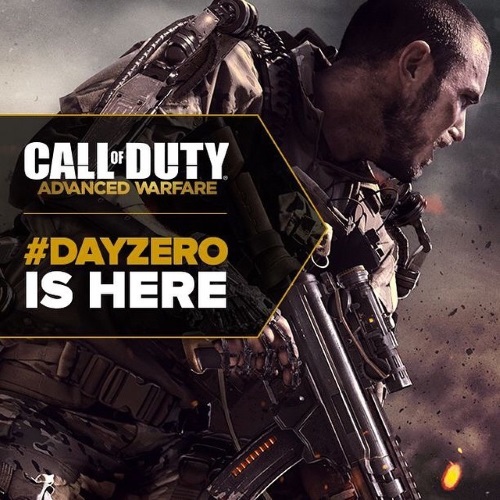 Power changes everything starting today, as Call of Duty®: Advanced Warfare Day Zero Edition is now available worldwide. Eager fans lined up at midnight at thousands of retail locations around the globe to get access to the Call of Duty: Advanced Warfare Day Zero Edition, available today. The new title from Activision Publishing, Inc., a wholly owned subsidiary of Activision Blizzard, Inc. [Nasdaq: ATVI], marks the first Call of Duty ® game led by developer Sledgehammer Games and the first time for a three-year development cycle. Advanced Warfare also introduces the exoskeleton – the biggest core movement change in franchise history. With the power of the exo, players can boost jump, dodge, slam and more through a visceral and compelling new story; built from the ground up multiplayer experience; and a brand new cooperative mode for the complete entertainment package that only Call of Duty can deliver. 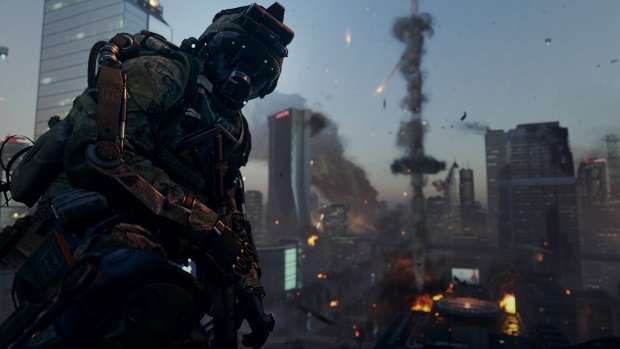 Call of Duty: Advanced Warfare envisions a powerful future, where both technology and tactics have evolved to create a ripped-from-the-headlines-of-tomorrow story. Kevin Spacey stars as Jonathan Irons – one of the most powerful men in the world – shaping this chilling vision of the future of war. Based on plausible technology and extensive research, the all-new story, conceived by the storytellers at Sledgehammer Games, introduces a world where private military corporations (PMCs) wield more might than national governments, and soldiers fight not for country but for profit; militaries for the highest bidder. These PMCs are outfitted with the latest in combat technology – the exoskeleton – empowering soldiers to overcome enemies with incredible and varied abilities, giving them a whole new way to traverse the battlefield. This is war like never before. Call of Duty: Advanced Warfare also drops players into an adrenaline-filled multiplayer experience, allowing fans to take the exoskeleton and its array of special abilities online. A first for the franchise, the power of the exoskeleton introduces all-new ways to manoeuvre combat situations on the ground and in the air, alongside an arsenal of futuristic weapon technology that affords players more ways to take opponents on, all while maintaining the signature breakneck Call of Duty multiplayer feel. Fans have more options than ever when customising their multiplayer soldier with the new Create-an-Operator system, featuring gear and appearance personalisation from head to toe. Players and their tailor-made advanced soldiers will benefit from the all-new Supply Drop system, unlocking weapons, gear and cosmetic items through extended play. With 13 included maps out of the box and several new modes, Advanced Warfare is the complete multiplayer package. Call of Duty: Advanced Warfare also debuts Exo-Survival, a 1-4-player, new cooperative experience. The new mode is a frenetic, cooperative battle to fight off waves of unrelenting exoskeleton-suited enemies in a struggle to stay alive. Players can upgrade their weapons, exo abilities, scorestreaks, perks and more as they try to survive. Communication, teamwork and positioning are crucial components for a successful strategy to handle the Exo-Survival swarm. In addition to up to 24 hours of early access, the Call of Duty: Advanced Warfare Day Zero Edition also gives players access to two custom in-game weapons, the AK-12G assault rifle and Crossbow-B2, a full day of double XP on 3rd November, and access to the Advanced Arsenal. The Advanced Arsenal consists of an in-game custom Bullet Brass exoskeleton and in-game custom EM1 Quantum weapon. Also available today, is the Call of Duty: Advanced Warfare Season Pass. The Season Pass lets gamers access four Call of Duty: Advanced Warfare DLC Map Packs to be released in 2015 at a bundled discount. With Season Pass, gamers get instant access to the Atlas Gorge Bonus Multiplayer Map, a re-envisioning of the fan favourite Call of Duty® 4: Modern Warfare® map. Pipeline. The DLC Map Packs will be available on the Xbox Live online entertainment network from Microsoft first and pricing and release dates may vary by platform. Perfect World Entertainment Inc. and Cryptic Studios will launch Star Trek Online: Season 11 – New Dawn on October 27, 2015. Ragnarok Online is celebrating this weekend with special events for reaching over 75,000 likes on Facebook.